Southbound’s love and commitment to it’s fans and Country music have been a driving force which has helped create a thriving Long Island Country scene. In addition to headlining Festivals and drawing huge crowds on its own, SouthBound has opened for many famous acts including Keith Urban, LoCash, Joe Nichols, Rodney Atkins, Parmalee, Easton Corbin and Charlie Daniels Band to name a few. Wowing crowds for over a decade, this four piece tour de force captivates and enthralls crowds with their showmanship, talent and positive energy. 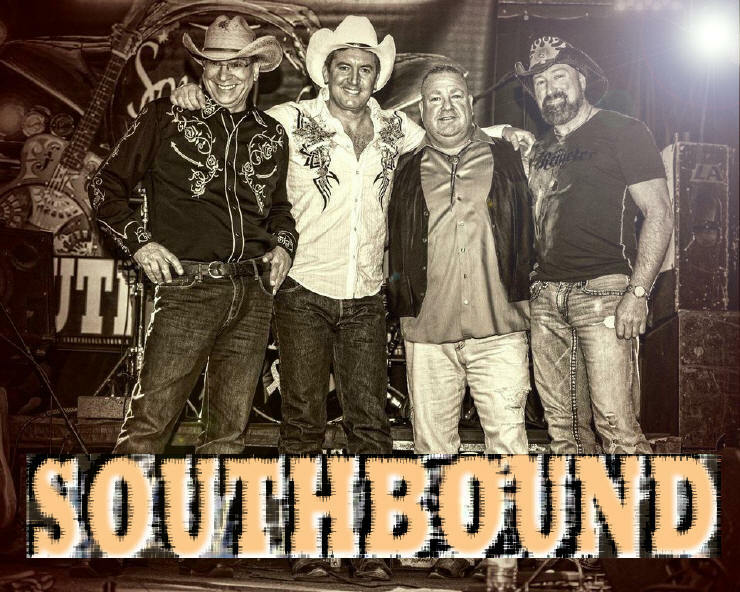 Playing hit after hit as well as crowd pleasing songs from their Guitars and Boots CD, SouthBound consistently delivers the kind of top notch performance that makes large crowds want to dance and sing along. SouthBound works hard to please everyone. In fact, many a non-country fan who happened to be at the band’s shows has said “I don’t like Country but I like SouthBound”.